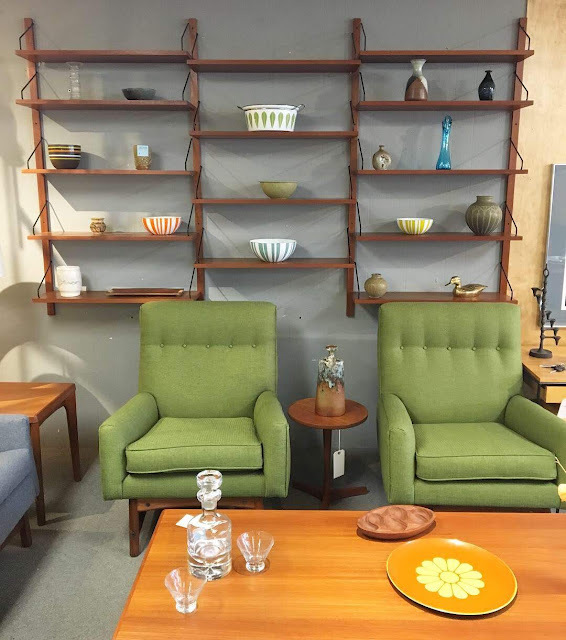 Danish teak Cado royal system wall unit (3 bays with 14 shelves) $1495. Norwegian leather lounge chair and ottoman by Ingmar Relling for Westnofa $950. 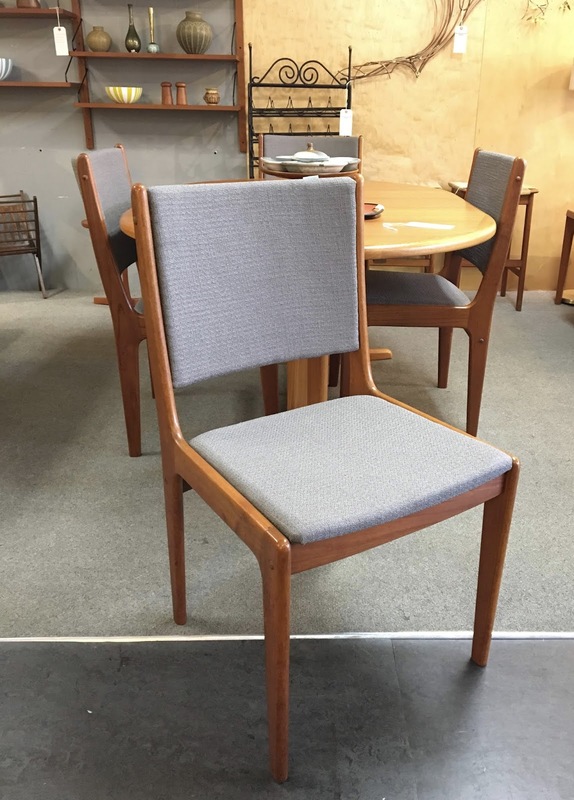 Set of 4 Danish teak dining chairs with new upholstery $595. 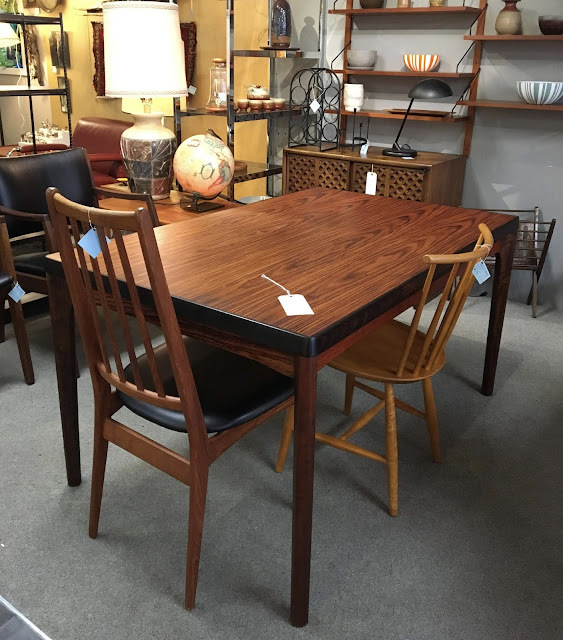 Danish rosewood draw leaf dining table by Henning Kjaernulf $1450. Pair of Scandinavian lounge chairs $495 each. 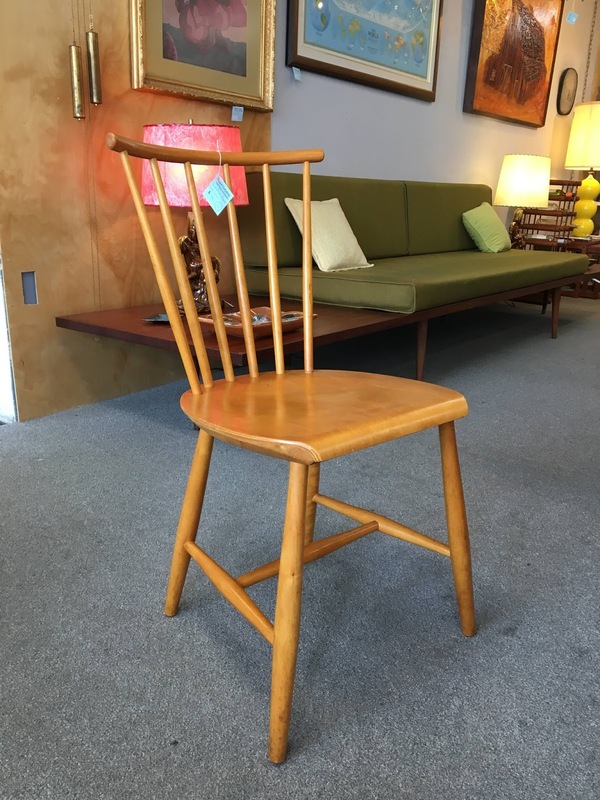 Swedish maple spindle back dining chair $145. 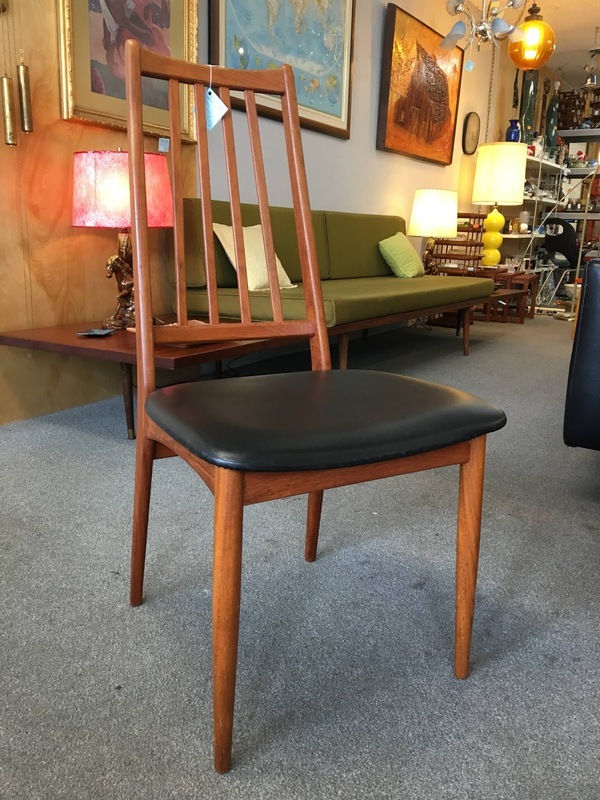 Danish teak dining chair $145. 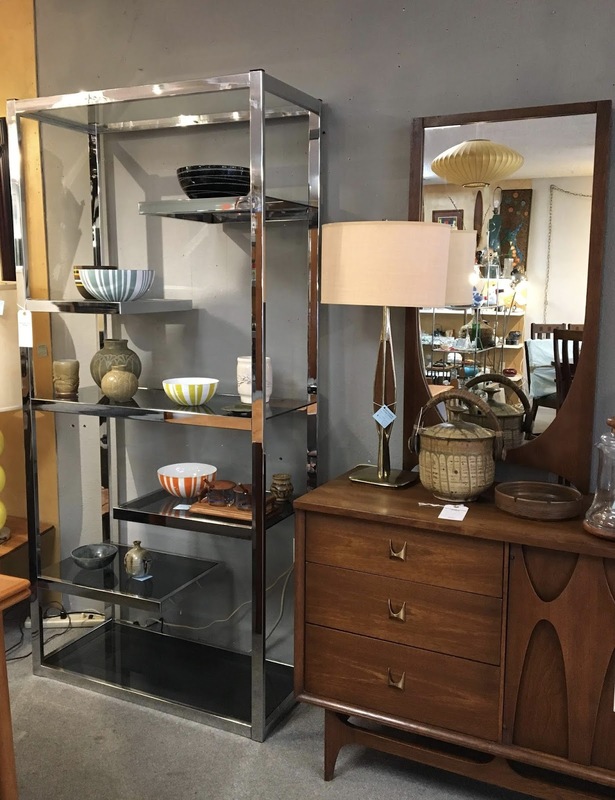 (Left) Modern chrome etagere $595. Remnant Reserve, NE Portland by appointment. 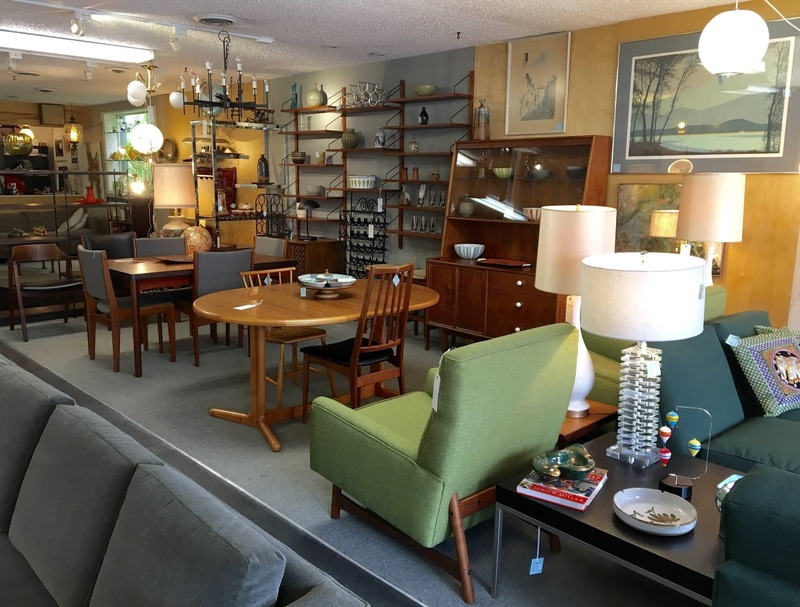 Please email remnantpdx@gmail.com to schedule a viewing. 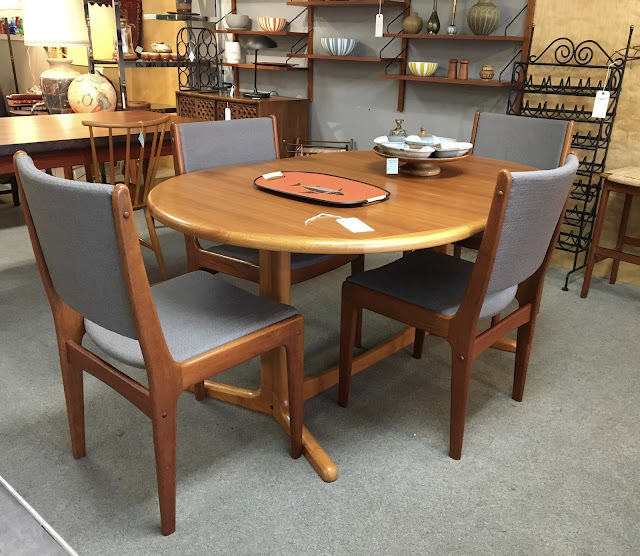 Broyhill Brasilia Dining set, table with 3 leaves and 6 chairs $1500. The punch set looks unused, have never seen a complete set, lucky find! 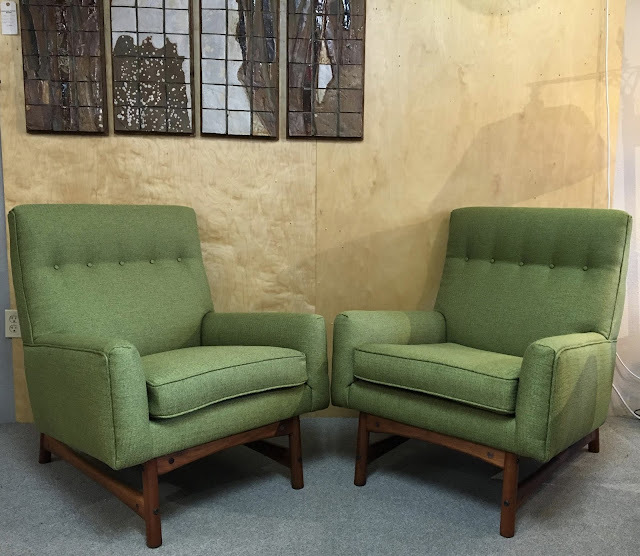 wondering if the Ejvind Johansson easy chair is still available. Thanks for your inquiry. 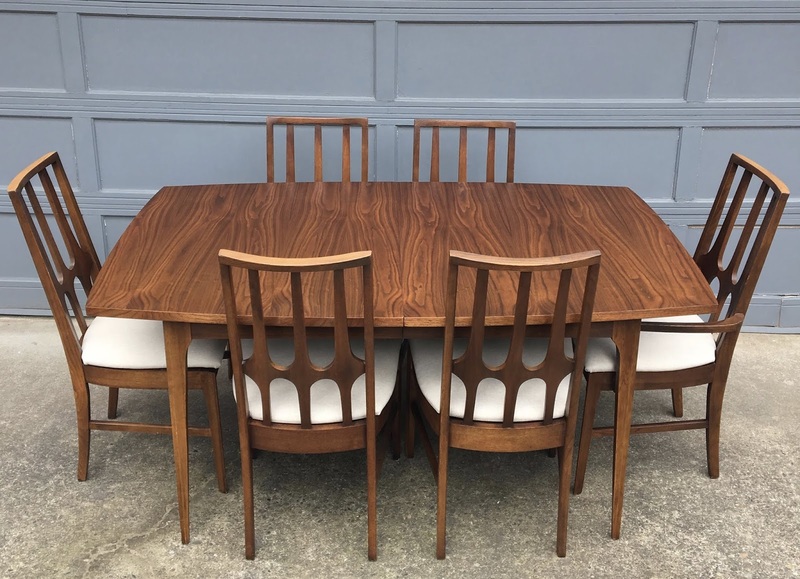 It has been sold. Hi. 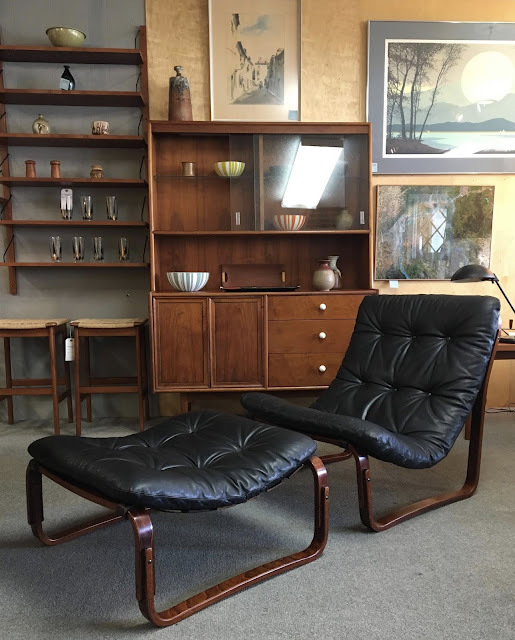 Is the Glenn of California desk designed by John Kapel? 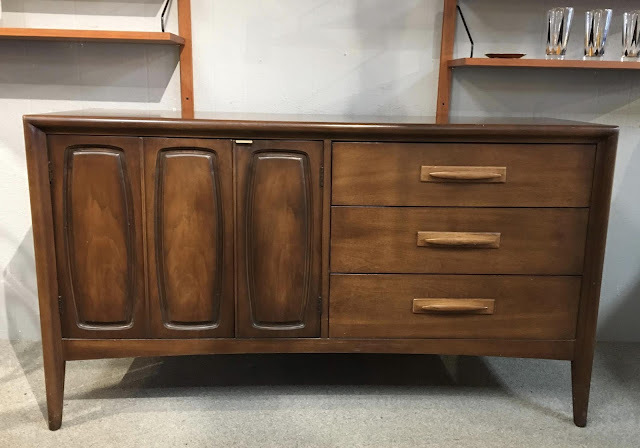 Is it marked in any way? Does it disassemble? Thanks. Thanks for your comment. It does not have any maker's marks but it is regularly attributed to John Kapel for Glenn of California. It does not disassemble. We went to your store today. What beautiful pieces ! I wish I had brought a uhaul. We will be back next time we visit Portland.